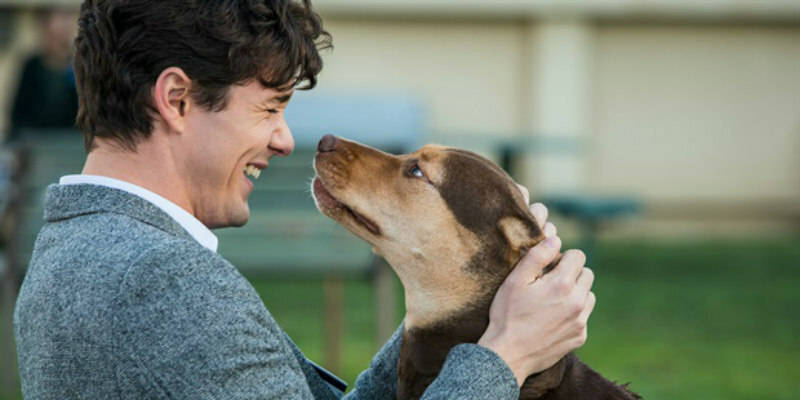 To celebrate the release of A Dog’s Way Home in UK cinemas on 25th January, we’ve rounded up the best human/dog relationships in films. Based on the book by W. Bruce Cameron (A Dog’s Purpose), A Dog's Way Home is a story about the heart-warming relationship between Bella (voiced by Bryce Dallas Howard) and her best friend and owner Lucas (Jonah Hauer-King). After being separated from her quaint life with Lucas, Bella must make a 400-mile journey to be reunited with her family. A Dog's Purpose is the soulful and surprising story of a devoted dog who discovers the meaning of his own existence and teaches his human owners to laugh and love again. Josh Gad voices the reincarnated canine over the course of five decades, with his story beginning as a retriever named Bailey in the 1960s when he develops an unbreakable bond with a young boy named Ethan (Bryce Gheisar, later played by K.J. Apa). As Ethan grows older (played by Dennis Quaid) and comes at a crossroads in his life, the dog once again comes back, many lifetimes later, to remind him of his true self. The film is a testament to the relationships we have with our beloved pets and the impact they truly have on our lives. TinTin’s (voiced by Jamie Bell) loyal dog Snowy is a wire fox terrier who joins the iconic Belgian character on his adventures against Captain Haddock (voiced by Andy Serkis). Playing a big role in the comics, Snowy is once again by TinTin’s side in the animated film and together they end up on a big adventure that leads them across Europe. Always sticking together, the iconic duo are found helping each other out of murky situations. Based on the memoir of the same name by John Grogan, Marley and Me tells the story of John and Jenny (played by Owen Wilson and Jennifer Aniston), a young couple who contemplate starting a family. When a friend suggests the couple adopt a dog to see if they are ready for parenthood, they take in a young golden retriever named Marley, who is in desperate need of training. Set over the course of 14 years, the charming tearjerker explores the relationship between Marley and the family that grows around him. Bolt (voiced by John Travolta), an American White Shepherd, is adopted by Penny (voiced by Miley Cyrus), a young girl, and they star on a superhero TV show together. But when he is separated from the studio by accident, Bolt mistakenly ends up on the other side of the country. On his journey back home, he discovers that his superpowers are not real and the friendship with Penny is put the test as he does everything he can to find a way back to his beloved owner. Perhaps one of the most popular dogs in film is the cairn terrier Toto, the perfect sidekick to Dorothy in the classic The Wizard of Oz. When Dorothy learns that the life of her beloved pet is under threat, she runs away from home and ends up in the Land of Oz. Toto follows her and sticks to her side - and he even exposes the alleged ‘wizard’. Dorothy may never have gotten home without him. A Dog’s Way Home is in cinemas from 25th January.